Known as a “paper engineer” in Japan, Kota Hiratsuka started creating geometric origami shapes entirely paper-based, to become today the artist of impressive “Origami Mosaics”. Trying to fold a difficult origami design one day, Kota realized the folded paper had many good lines and a beautiful geometric pattern. 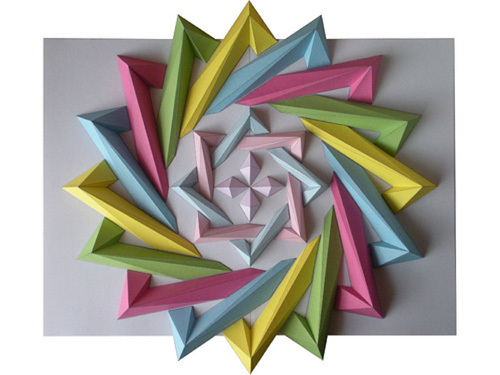 This is when he was inspired to use a ruler and cutter to start crafting what would become his newborn art: Origami Mosaics. Introduced to origami by his mother when he was six, Kota combined his love to it with his admiration to mosaics, merging the two arts to create his own. 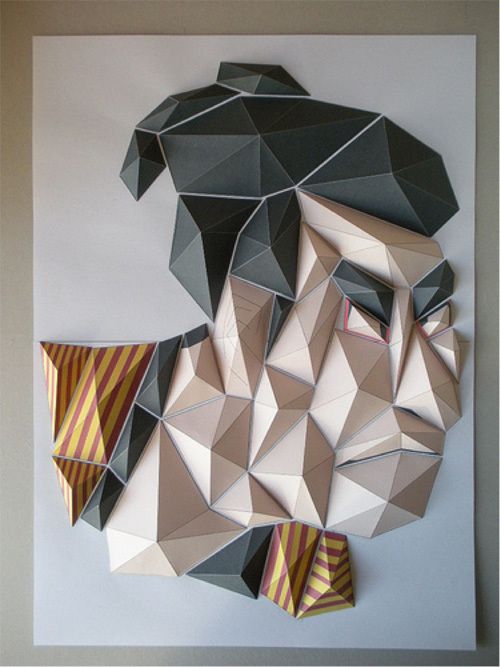 Not only does Kota design spirals and tessellations, but he is able to create portraits with the 3-D, triangular parts.